This new collection of poems by F.D. 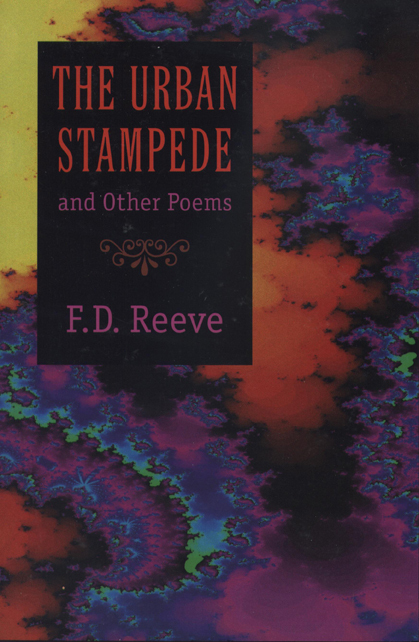 Reeve includes "The Urban Stampede", a dramatic narrative in poetic form, and twenty-four lyric poems. "The Urban Stampede" is a retelling of the Orpheus-Eurydice myth. It is the third such narrative from Reeve, as he attempts to rehouse grand myths from fallen cultures into the consciousness of today, seeking to show the enduring power of language itself and to bring spectator, poet, and performer together in the same place. These narratives include spoken voice and singing and are shaped by a careful underlying distancing—the basic characteristic of narrative poetry. In this way, a well-known story is coolly evaluated for cultural change and linguistic difference. In both the long poem, which is the centerpiece of this collection, and in the shorter poems, Reeve takes risks in order to explore the meaning that poetry gives to life-an immediately apprehensible vision apt in size and shape to our idea of the world, one in which the language of hands speaks to a guiding practical faith and the language of the mind leads to understanding and delight. F. D. Reeve has published approximately two dozen books of fiction, translations, and poetry. His honors include the New England Poetry Society's Golden Rose award and an award in literature from the American Academy National Institute of Arts and Letters. He earned a D. Lit. from New England College, and lives in Wilmington, Vermont. Reeve was once a Hudson River longshoreman and has spent years walking the earth, journeying out from his home state Vermont, over hills and through valleys from Mendocino to Murom, from Culebra to Komarovo. Reeve is the founding editor of Poetry Review. Currently he is a professor of letters emeritus at Wesleyan University.